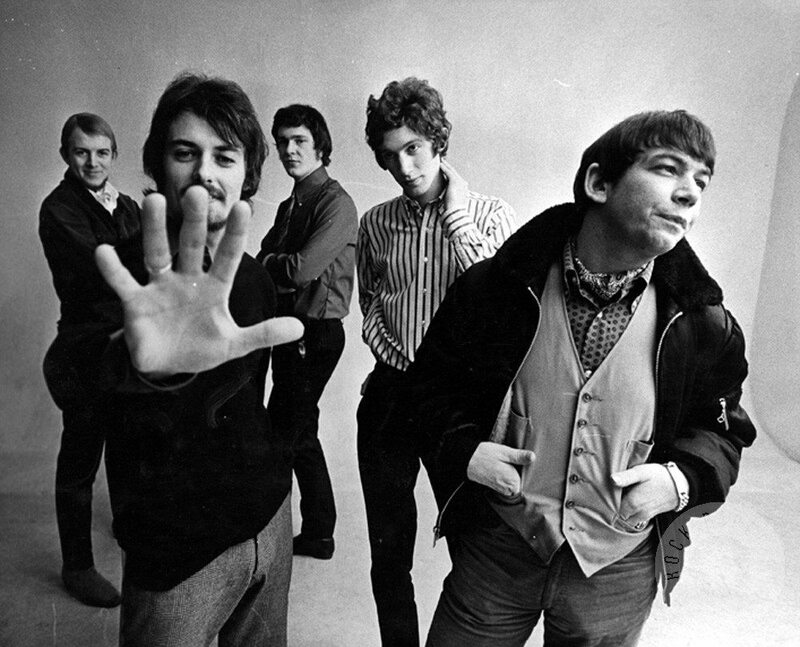 Winds of Change is an album released in 1967 by Eric Burdon & the Animals. The original band, the Animals, broke up in 1966 and this band was entirely new except for lead singer Eric Burdon and drummer Barry Jenkins, who joined the original lineup when John Steel left in February 1966. With the new band, featuring guitarist Vic Briggs, bassist Danny McCulloch and electric violinist John Weider, Burdon began to move from the gritty blues sound of the original mid-1960s group into psychedelic music. The album opens with the sound of waves washing over the title track, « Winds of Change ». « Poem by the Sea » is a spoken-word piece by Burdon with a swirl of echo-drenched instruments. « Good Times » and « San Franciscan Nights » were two of the most popular tracks, the latter breaking into the top 10 in 1967. Burdon dedicated the album to George Harrison of the Beatles, whose espousal of Hindu philosophy following a visit to India the previous year Burdon cited as an inspiration. Burdon was also a fan and friend of Jimi Hendrix and wrote the fifth track as an answer song to Hendrix’s « Are You Experienced », which was still unreleased at the time the « answer » was recorded. In their retrospective review, AllMusic described Winds of Change as the band’s first real psychedelic rock album. They praised the closing track « It’s All Meat » and the cover of « Paint It, Black » as rare examples of psychedelic rock songs by the Animals that are strong and convincing. All songs written by Eric Burdon, Vic Briggs, John Weider, Barry Jenkins and Danny McCulloch, except where noted.